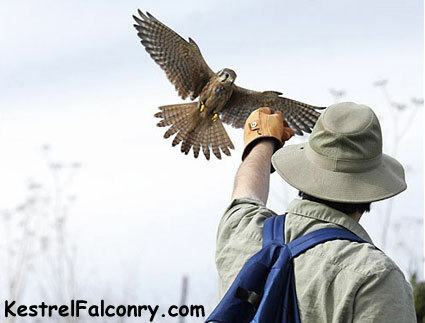 KestrelFalconry.com is for falconers and aspiring falconers to see some American Kestrels in action. 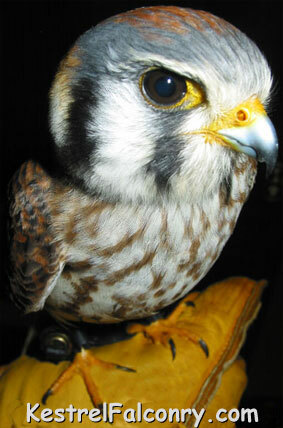 American Kestrels should not be considered a "beginner bird". Kestrels have a lot of potential on the glove of the right falconer. 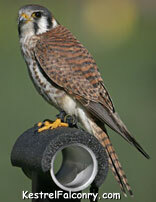 On this web site you will find Kestrel Videos, Kestrel Falconry info, Kestrel Games and links. Everything Kestrel. New Kestrel content added frequently. When it rains and I can't fly my kestrel, then I usually work on this website. Also if my Kestrel is a bit fat and we don't fly I will also have time. Website, Games and Video Editing is all done by the me (The Falconer). Actual Video camera work is done by my girlfriend. I update this web site regularly so check back in from time to time to see new kestrel content. If you would like to submit your Kestrel Videos or have us link to your Kestrel Blog or anything Kestrel Related then please email us at KestrelFalconry@KestrelFalconry.com We are primarily interested in American Kestrels in action although we would love to see all kinds of kestrels.